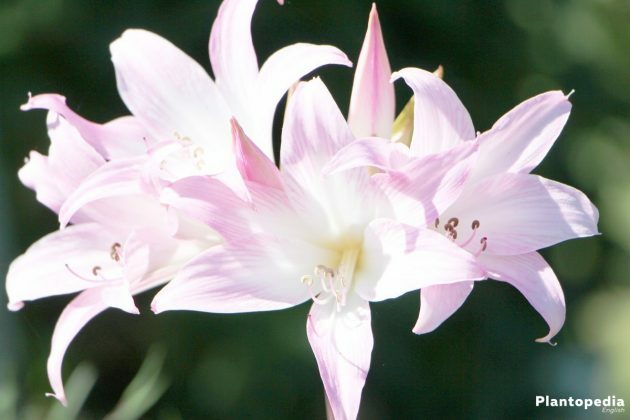 With its large, intensely colored flowers, Knight’s-star-lily illuminates the gloomy winter. 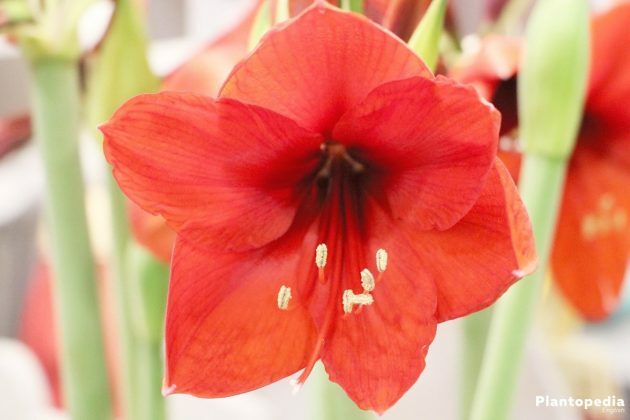 As potted plants and cut flowers, Hippeastrum are particularly popular during Advent and Christmas. Since they need different conditions in each of their growth phases, their care is very demanding. 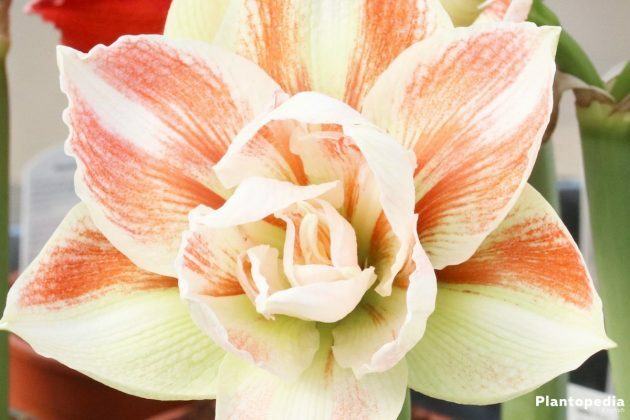 This guide will give you all the information you need for the proper care of Hippeastrum. 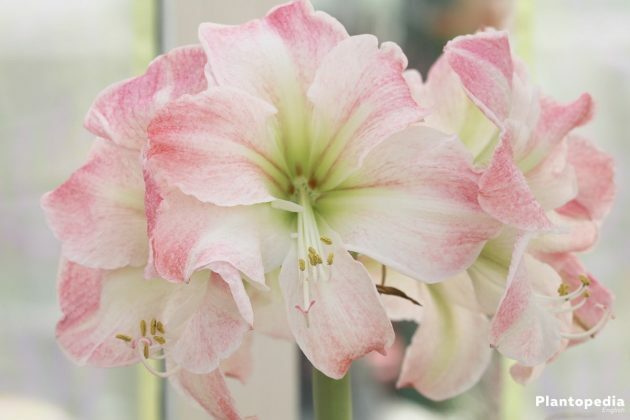 In winter, Hippeastrum please the plant enthusiasts with their imposing, slightly cernuous flowers. Usually three or four flowers decorate each of the sturdy stems. 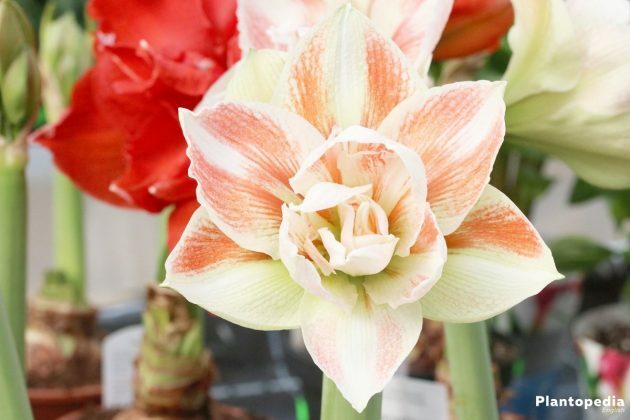 Hippeastrum, known as Amaryllis, pass through three individual growing periods every year. 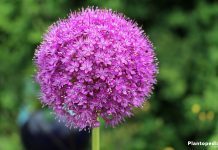 Those who give the proud bulb plant what it needs in each period, are rewarded with years of growth and a great flowering joy. 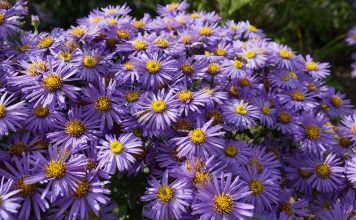 In the care guide you will learn how to cultivate the winter flower properly in order to enjoy its growth all year round. Hippeastrum are also known as Amaryllis. From a botanical point of view the name is not correct. 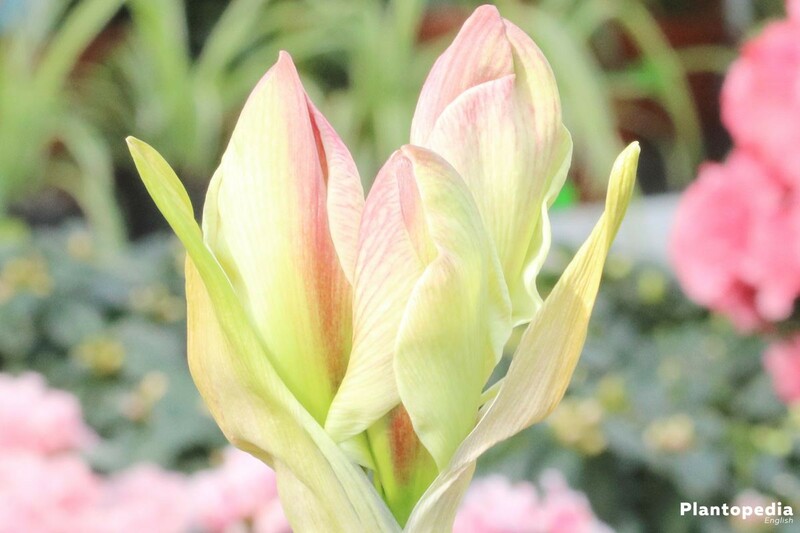 Although both plants are similar and belong to the Amaryllis family, they form a separate genus. It was not always like this: the Swedish naturalist Carl von Linné combined Amaryllis and Hippeastrum into the Amaryllis genus. 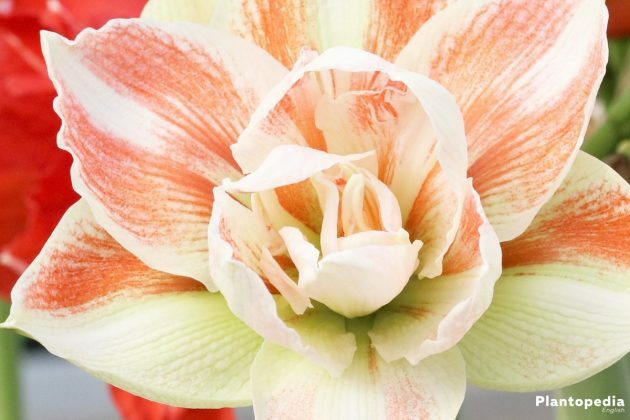 It was only in the 20th century that this genus was divided into the individual Amaryllis and Hippeastrum genera. 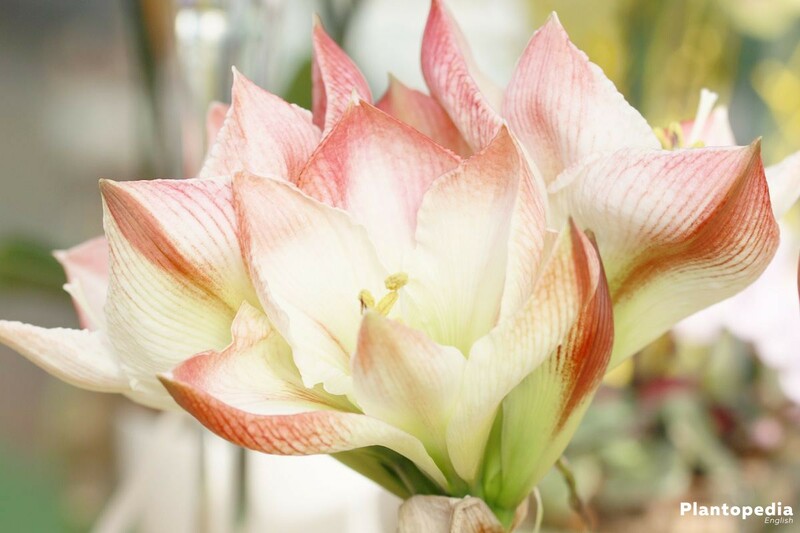 The colloquial term “Amaryllis” has been used for Hippeastrum till today. 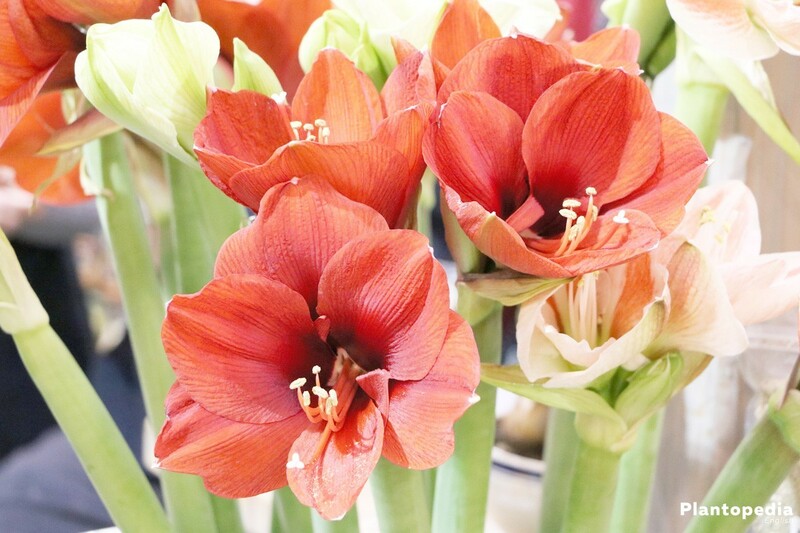 Real Amaryllis comes, however, from South Africa and Hippeastrum have their origin in South America. 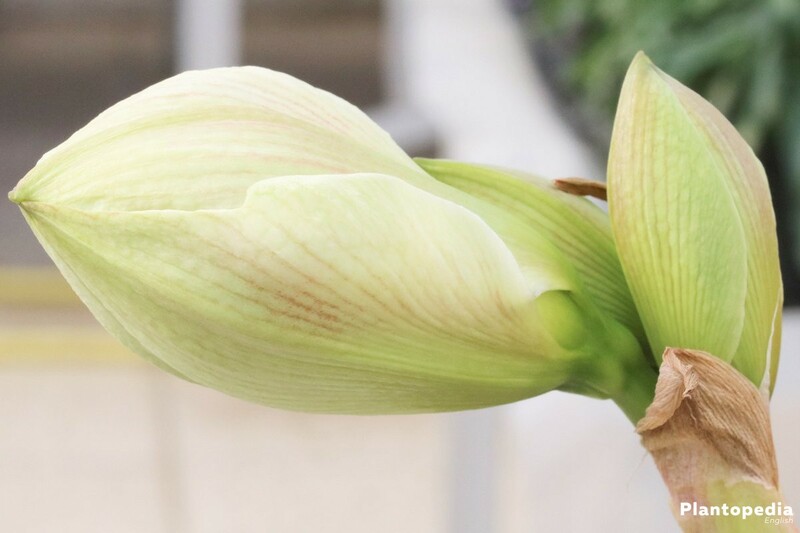 During each period, Hippeastrum need a different care, especially regarding the plant location and the nutrient supply. During the flowering phase, you should place your Knight’s-star-lily in a bright, not too heated room, so that you can enjoy the flower to the fullest. However, avoid direct exposure to the sun, as this can damage the delicate petals. The lighting in a regular room is sufficient; it is usually not necessary to place it in the window. The bulb plant prefers constant temperatures to about 20 degrees Celsius. If you place your Amaryllis in a room with a maximum of 18 degrees Celsius, the flowering period can usually be extended. During the growth phase, the bulb plant needs lots of light. In spring, place it on a window sill and ventilate the room regularly. The period between mid-May and September is best spent outdoors. Here, a light and half-shaded location is suitable, for example on the balcony, in the garden or on the terrace. 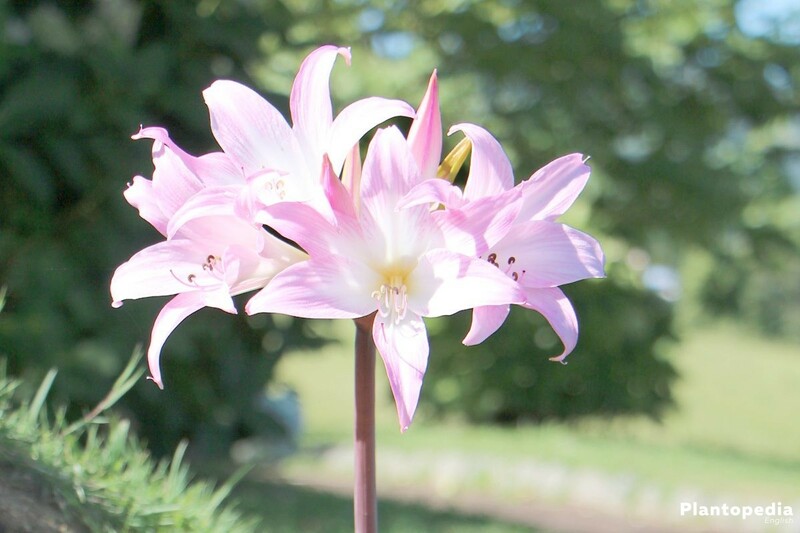 Hippeastrum may also be directly exposed to the sun. A too dark location, on the other hand, can slow down flowering and the leaves can become too long and twisted. The location during the dormant period should have the following characteristics. After about two to three months, you end the dormant period by placing Hippeastrum in a warm room. Before this you can repot them. 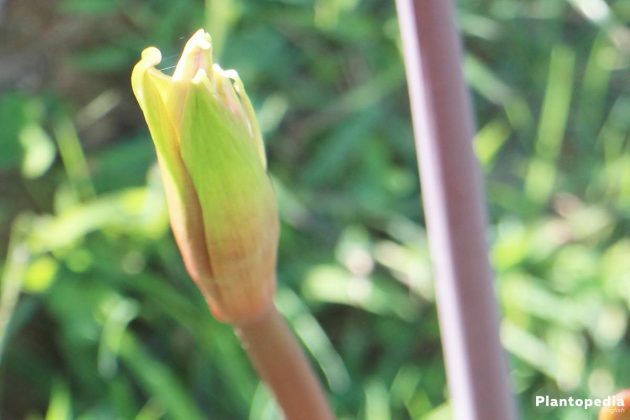 This initiates the flowering phase and the winter flower begins to develop buds. If Hippeastrum do not produce any flowers, it can be due to the fact that the dormant period was too short. 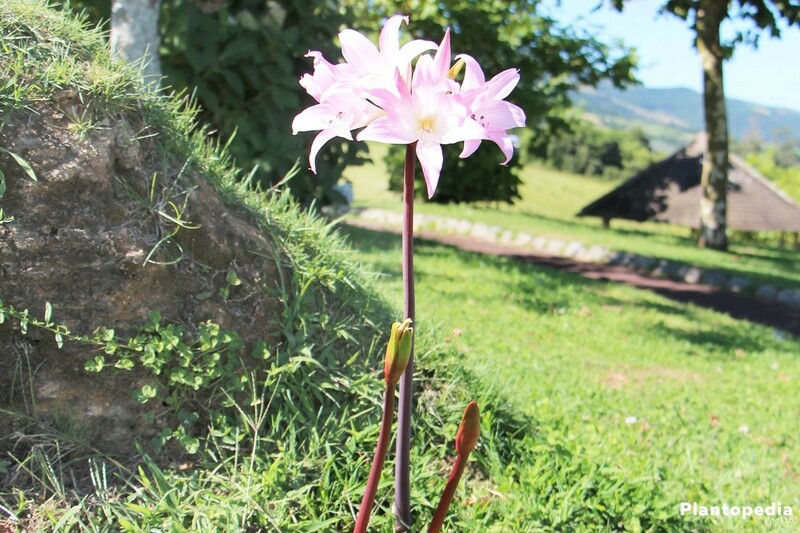 Hippeastrum prefers a loose and permeable soil. As basis it can be used regular potting soil, which is mixed in equal parts with cactus soil. Alternatively, a mixture of potting soil, clay granules and sand can be used in a ratio of 2:1:1. The winter blooms also thrive very well in peat-free coir. 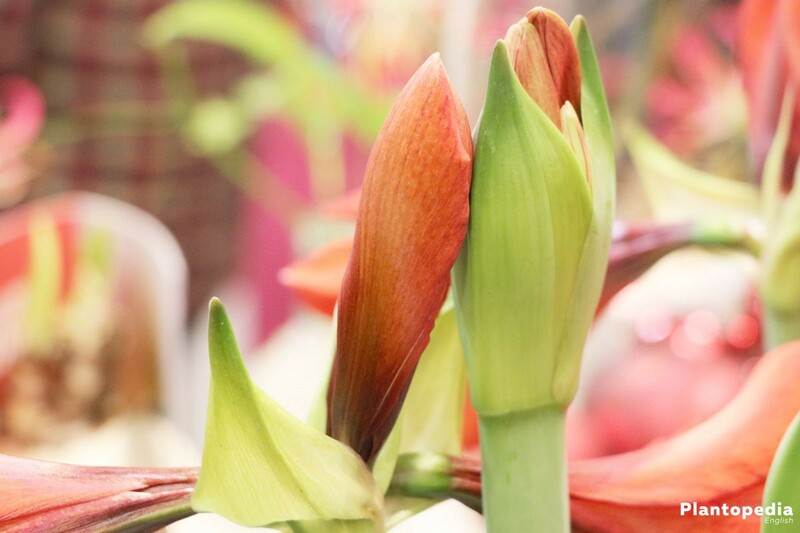 Hippeastrum are often sold in pots during the flowering phase. If you want to plant them yourself, you can buy bulbs. Every bulb needs its own pot. This does not have to be large: a distance between the bulb and the edge is optimal. The best planting time is between late autumn and beginning of winter. 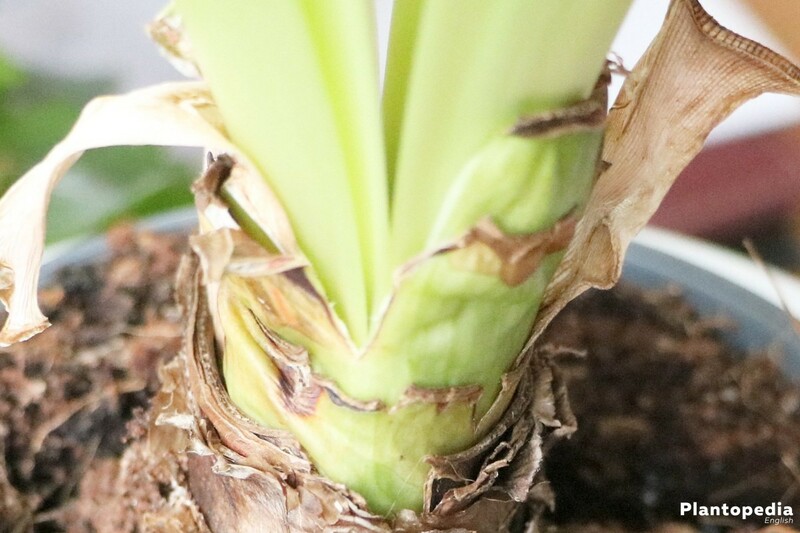 When the plant has formed roots, the first shoots sprout from the bulb. If these are about one to two centimeters high, the winter flower needs water again and it should be fertilized. Once the soil is slightly dry, it is advisable to water again. Now it takes about six to eight weeks for the plant to unfold its flowers. Late autumn and winter is also suitable for repotting an older plant. 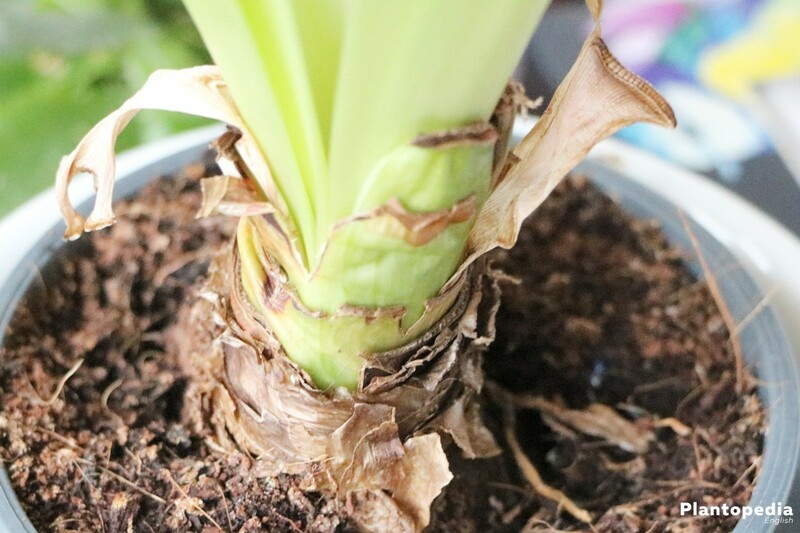 Remove the bulb from its old pot and proceed as described in the “Plants” section. You can use a new pot or reuse the old empty one with fresh soil. 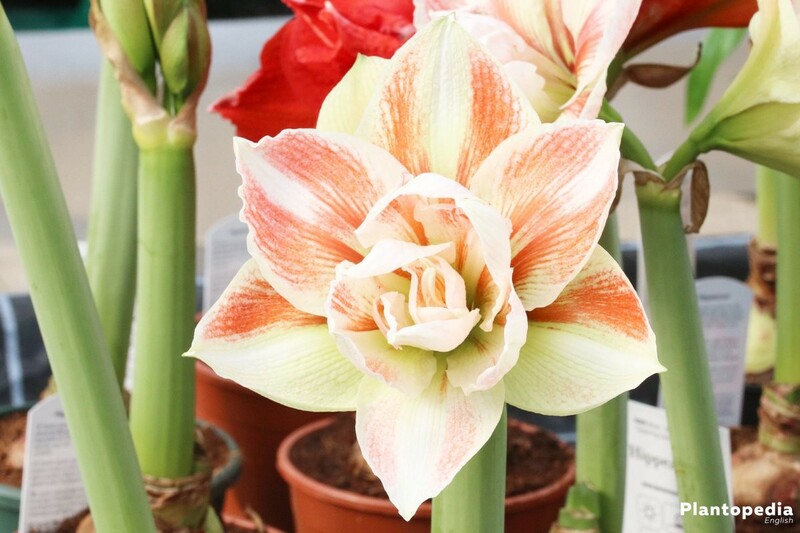 In order to promote the growth, Hippeastrum can be repotted every year before the beginning of the flowering phase. However, it should be done at least once every four years. During the flowering and growth phases Hippeastrum need a lot of water. From August onwards, use gradually less and less water. This simulates the dry phase, which the plant is accustomed to from its subtropical home. In this way you initiate the dormant period and allow the plant to extract important nutrients from the leaves and store them in the bulb. During the dormant period the plant is not watered. 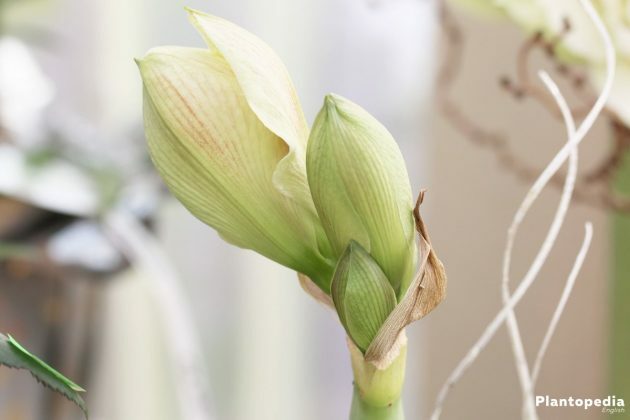 When the bulb re-sprouts at the end of the dormant period, start again with the water supply. However, the shoot should be one to two inches high before you water it. If you start too early, it stimulates leaf growth, which can lead to a lack of flowers. During the growth phases fertilize Hippeastrum every two to three weeks with liquid fertilizer or use nutrient-rich water from a tank or a pond for irrigation. 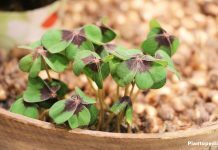 In this way, you will be able to support the winter flower optimally when developing the leaves and creating new flowers. Finish fertilizing best in August or September. Alternatively, you can use long-term fertilizers such as spikes or granules in spring and summer. If you repot your Hippeastrum every year and use pre-fertilized soil as base, you can halve the fertilizer dose. In the dormant period, Hippeastrum must not be fertilized. All completely wilted plant parts should be removed as soon as possible. During the flowering phase, remove the faded flowers, as they can cause spots when fell off. At the end of flowering, when all flowers are faded, cut off the scapes. At the beginning of the dormant phase you set the watering and fertilization. The green foliage, which had previously formed during the growth phase, it now fades and can be afterwards removed. This is mostly the case in September. Finally, the stem withers. This is cut off just above the bulb. If you want to propagate your Hippeastrum you need patience. Several years pass until a young plant blooms for the first time. 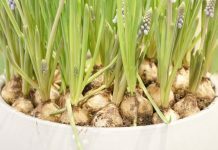 The mother bulbs produce small bulblets, which are attached to mother bulbs. 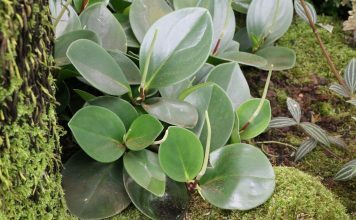 As soon as a bulblet has reached a diameter of two to three centimeters, it can be separated and placed in a pot (see “Plants” section). 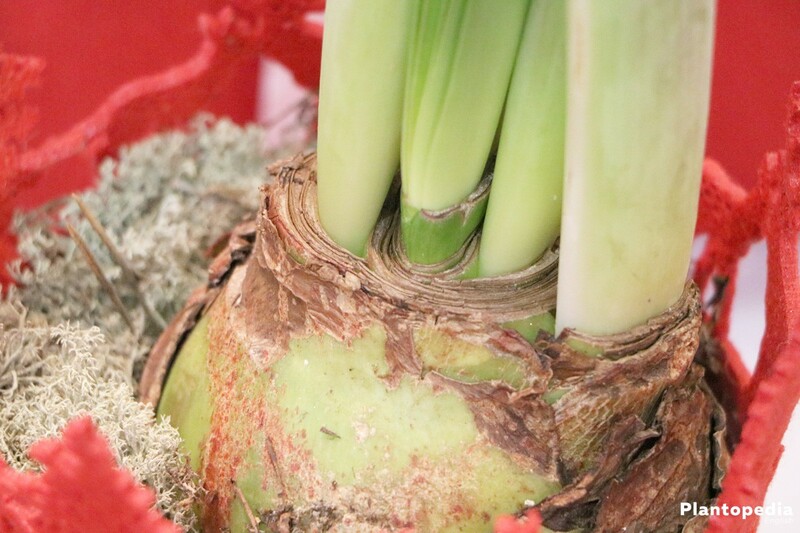 Maintain the young bulb just like every other Hippeastrum and transplant it into a larger pot once a year. 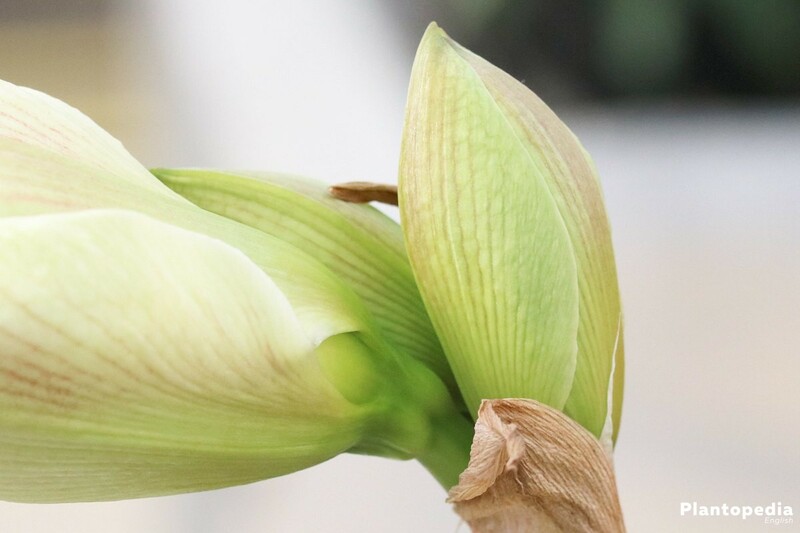 When the bulb is about 8 cm in diameter after approximately three years, it will flower for the first time. Most varieties of Hippeastrum are self-sterile, which is why you need at least two different plants for pollination. Take the pollen of one of the plants, for example, with cotton bud and place it on the pistil of the other plant. Cut flowers can also be pollinated in this way. For self-fertile varieties you can pollinate the pistil of a plant with their own pollen. A few days later, the petals and the seeds mature in the ovary. If the seed capsule opens after four to six weeks and the black seeds appear, they can be harvested. Fill a pot with potting compost, place the seeds and press them gently. The soil must now be kept uniformly moist. It is better to cover the pot with a transparent bag to create a humid and warm condition. To avoid mold, lift the cover once a day and ventilate. Within two to four weeks the seeds will sprout. When the seedlings are about five centimeters in size, you can permanently remove the cover. The seedlings need no dormant phase, but are watered and cultivated until after the first flowering. Until then, up to five years can pass. 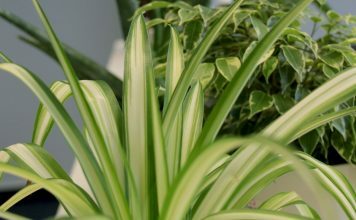 A bright location in the apartment is optimal, but young Hippeastrum should be protected from the midday sun. 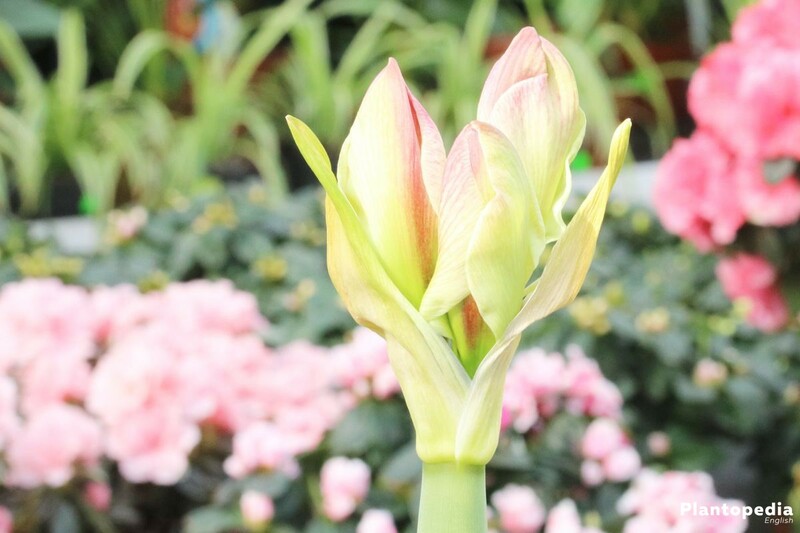 Hippeastrum are frost-sensitive and cannot tolerate temperatures below zero degrees Celsius. In winter during their flowering phase, they are kept indoors. All parts of Hippeastrum contain alkaloids, which are highly poisonous. The highest concentration is found in the bulb. The plant should be kept out of reach of children and animals since the consumption of the smallest parts of the plant may cause nausea, dizziness, diarrhea and other poisoning symptoms or even death. Skin contact with the plant sap can also cause irritation or rash. So be careful with Hippeastrum. When Hippeastrum is outside during the growth phase, it is sometimes attacked by snails. They eat mainly the bulbs. As soon as you discover slime trails and nibbled plant parts, you should act quickly to avoid major damage. 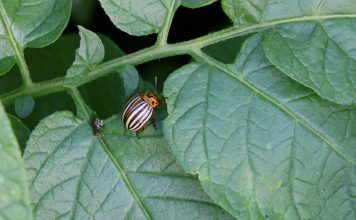 You can, for example, build a snail fence around the plants or fight pests with slug pellets, a poison for pest animals. About 80 species of Hippeastrum are well-known. 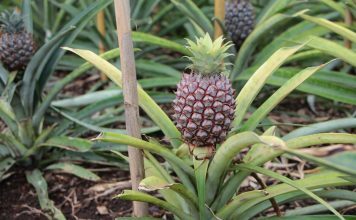 They are divided into countless varieties, which are almost exclusively hybrids. They differ primarily in the color of their petals. There are many one-colored varieties like the bright red flowering Calimero, the pink flowering Pink Floyd, the white blooming Antarctica, the red-black flowering Black Pearl or Tinto Night, whose flower has an intense, dark red color. In addition, there are Hippeastrum with differently patterned flowers. The Minerva, Gilmar and Clown varieties have, for example, different patterns in red and white colors.